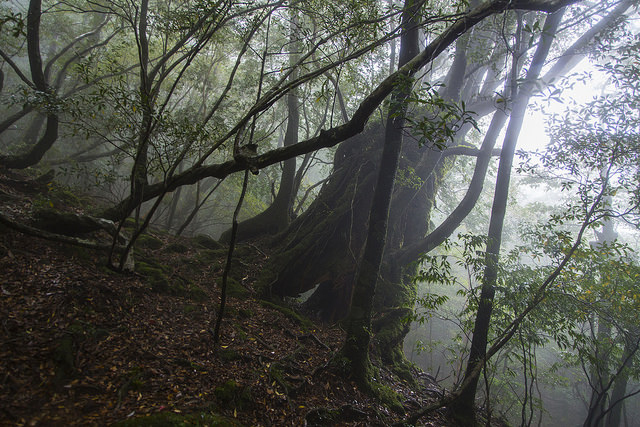 Shiratani Unsuikyo is a primeval forest on Yakushima off the coast of the Kagoshima Prefecture. 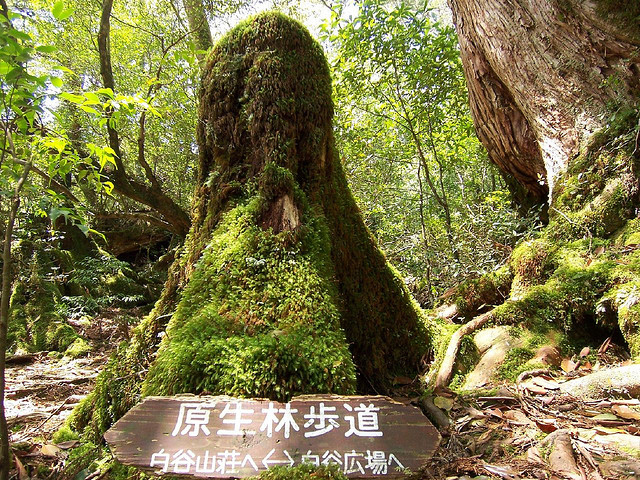 This forest is known for its very old Yakusuji cedar trees and tours visiting here are offered daily. There is a lot to see within the forest, so I suggest planning a whole day for your visit or taking one of the longer tour options. People argue that this is the most beautiful hiking trail in all of Japan, and it’s easy to see why! The best way to get to Yakushima is to take the ferry from Kagoshima. Once you arrive, you can begin exploring, as there is a lot to do on the island. Shiratani Unsuikyo is filled with natural beauty. Amidst the trees you’ll encounter small streams and beautiful waterfalls. It truly is a magical place. When you see it, you can understand why a section of the forest is called the “Princess Mononoke forest”. This is the area that actually inspired Hayao Miyazaki to make his beloved film. See? I told you it was magical! As you hike deeper into the forest, you’ll encounter even taller and older cedars. Their branches are often snarled and entangled, making their shapes very unique and interesting. 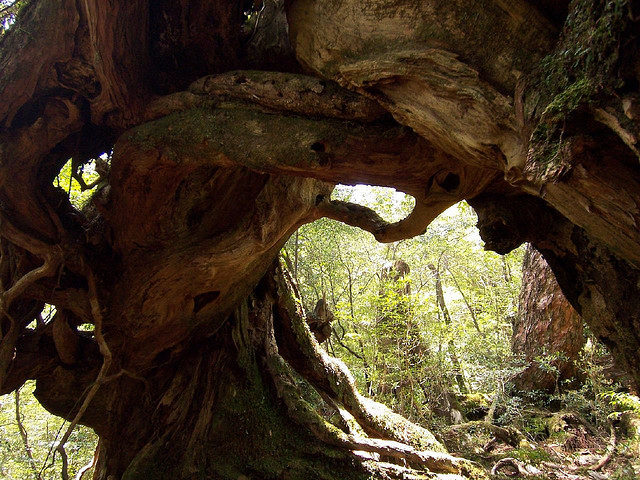 Eventually you’ll reach Jomon-suji, which is the oldest cedar tree on the island. Other points of interest that you’ll want to watch out for are the Tsuji Pass, the Daiosugi Cedar and the Wilson Stump. Some visitors bring all of their serious hiking gear and stay overnight in one of the mountain huts available, although this isn’t necessary. You can still enjoy a lot just by spending an afternoon here. If you’re hiking in the winter you’ll need snow boots for sure as it can get pretty snowy. You’ll also need to hire a guide as the trails will be covered and it can be dangerous hiking alone. To keep hikers from getting completely lost, pink ribbons are tied on trees marking the trail. I recommend hiking in summer when the weather is nicer! The forest is a protected area, so they do ask visitors to be respectful. There are a few rules everyone must follow, such as not building fires, littering or taking the plants, but this is for the good of everyone and easy enough to follow.